In a single bite, you’ll experience a rich cheese flavor and a spicy kick to finish it off. Our motto is, “One bite and you’re hooked!” And frankly, this proves to be true when describing our mouthwatering cheese straws. The cheese straws at 350° Cheese Straws are a true Southern tradition, handcrafted in Beaufort, North Carolina. As a family-owned and operated business, we take immense pride in the process of baking and packaging each cheese straw that comes from our kitchen. The recipe we use has been passed down through our family and handed down by the owner’s mother. In fact, the owner, Ashley Sellars, is the only person who makes the dough and bakes the cheesy treats. If you’re new to our 350° Cheese Straws, take the time to read our past blog post to learn more about the vision behind our company and the story behind our cheese straws. Today we’re going to continue sharing our passion for our product by giving you some gift ideas. There’s no doubt that our straws are the ultimate snack — you can easily store a tin or two in your cabinet for when you’re craving a savory snack. But these cheese straws also make extraordinary gifts, especially gifts for cheese lovers. Whether you’re going to a wedding, a baby shower, a company Christmas party, or you’re looking for a hostess gift, we can guarantee that a simple tin of our cheese straws will make a statement. So continue reading to learn the many ways in which you can give the gift of cheese straws, and be sure to stock up on some tins for yourself and for your loved ones as we edge into the holiday season. Chances are you have a company holiday party coming up. As we enter into the holiday season, you may already be starting to hear about Christmas festivities among your coworkers. And perhaps with the talk of parties, you’re beginning to think of gifts to give to your coworkers and bosses. You don’t want to show up to work gatherings and parties empty handed, but what is an appropriate gift to give to those you know professional? Luckily, you’ve found yourself in the right place. 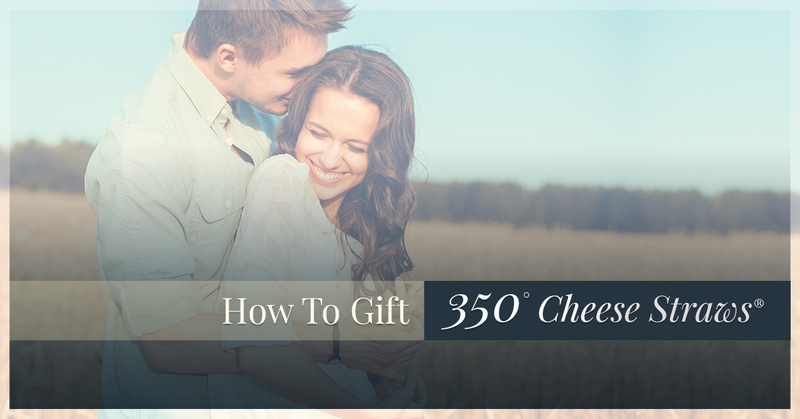 Why not gift cheese straws? As an edible treat, a tin of our cheesy treats is simple and safe enough to give to professional acquaintances, but is delicious and meaningful enough to make a lasting statement. Cheese straws may seem like a boring wedding gift idea, but what if you’re a plus-one and don’t want to attend the wedding without presenting a small gift? That’s where our cheese straws can play a significant role. If you’ve been invited to a wedding, but do not know the bride or groom very well, opt for a tin of our cheesy delights to gift the newlyweds. Like holiday parties, you don’t want to attend a dinner party empty handed. It’s always polite to bring a hostess gift to show your appreciation. If you want to stray from the norm of fresh flowers or a bottle of wine, consider gifting a tin of cheese straws to your generous host. This gift will speak volumes, and can even be enjoyed by guests at the party if the hostess so pleases! We hope this short gift guide was beneficial to you as you prepare for upcoming work parties, weddings, and special dinner events. Keep your eyes peeled on our blog section as we continue sharing gift ideas for the Christmas season approaching us. And be sure to try our cheese straws for yourself. Purchase your tin today!